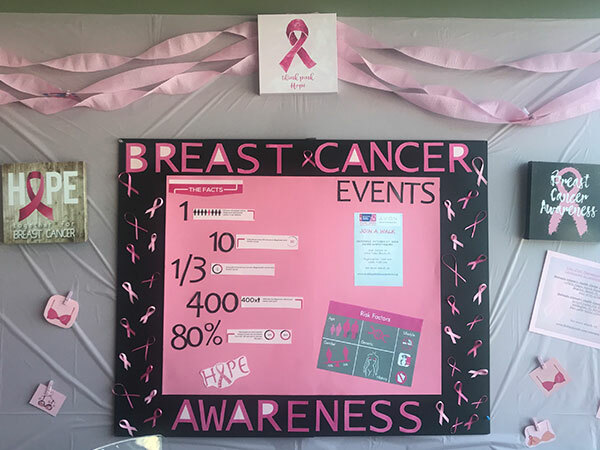 Etech Palm Beach center employees thoughtfully brought Breast Cancer awareness to all the team members by creating a Breast Cancer Awareness Wall. 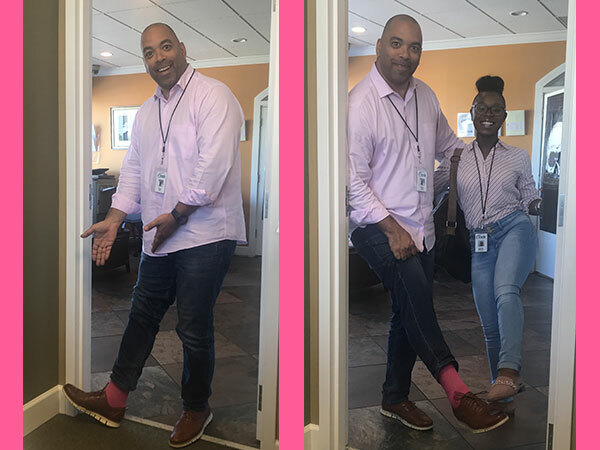 The team members also participated in the Susan G Komen Cancer Walk and wore Pink to support the cause. 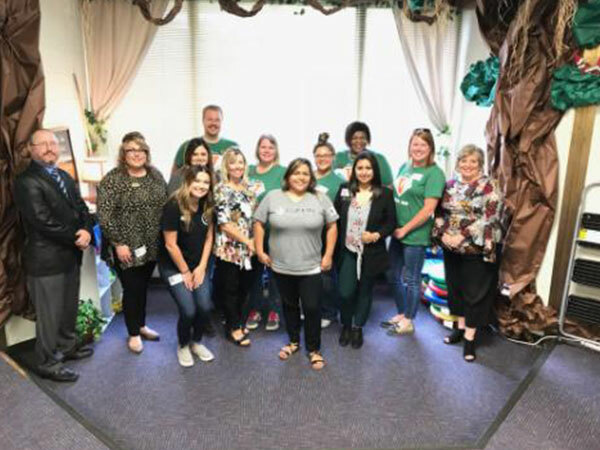 Etech Lufkin center team members volunteered with Junior Achievement at Anderson Elementary 3rd grade. 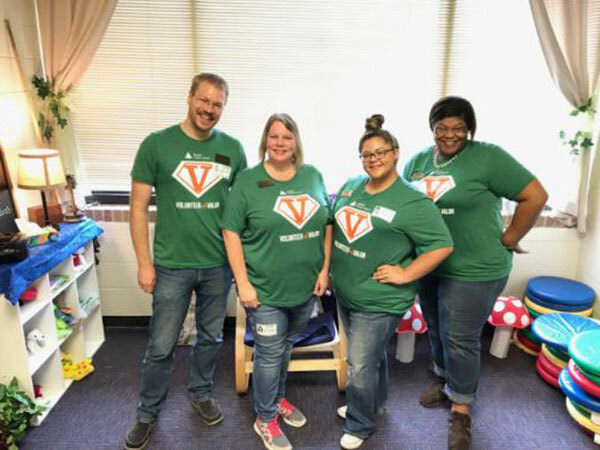 Team members spent quality time with children that no only bought happiness to the team members but also to the children. 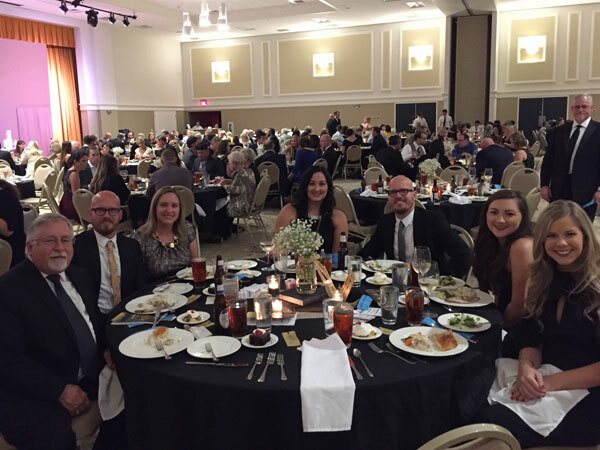 Thank you to Etech Lufkin team for all you do for our community! 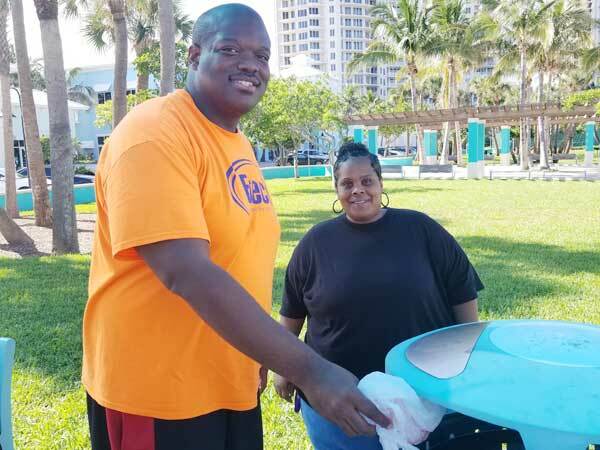 Etech Give Back Program – Water Drive at Palm Beach! 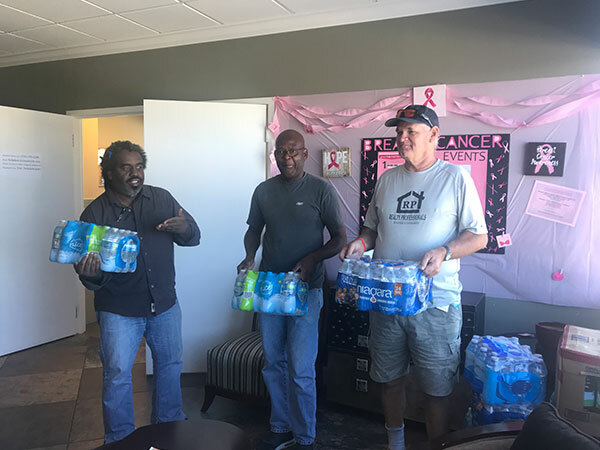 Etech Palm Beach center employees successfully conducted a water drive. 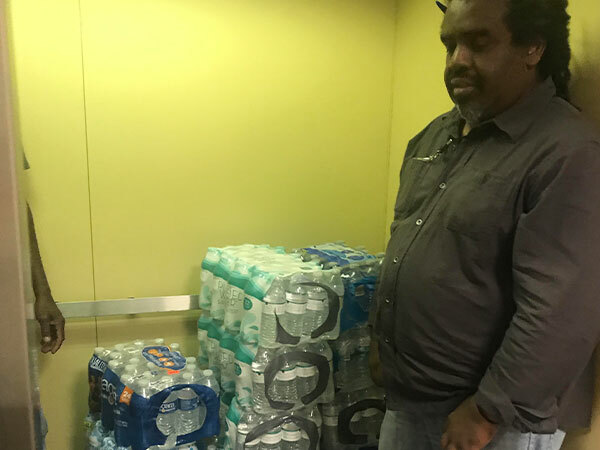 The center collected 10+ cases with over 400 bottles of water and donated to the Salvation Army. 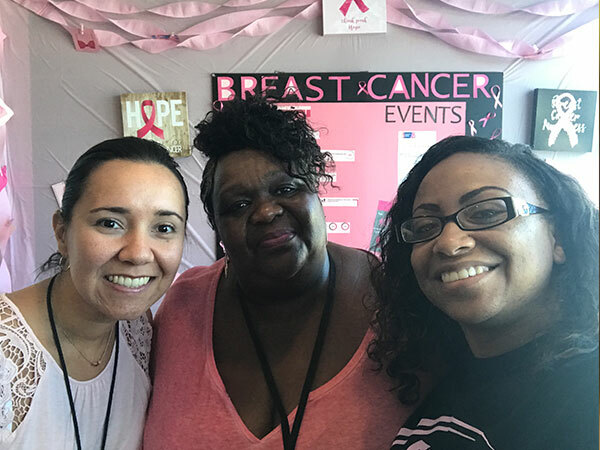 Big thank you to all those who participated and made a difference! 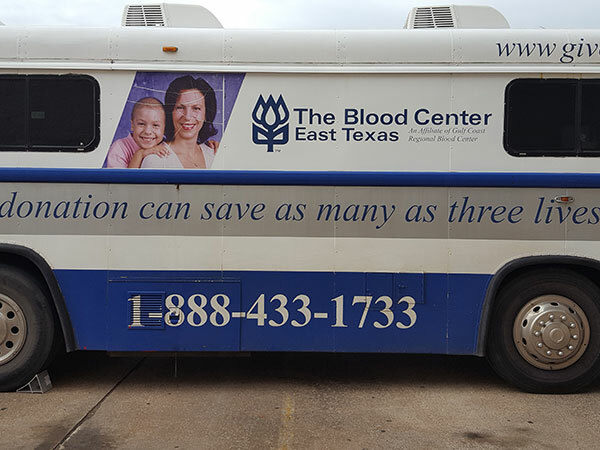 Etech Lufkin center employees conducted a Blood Drive. 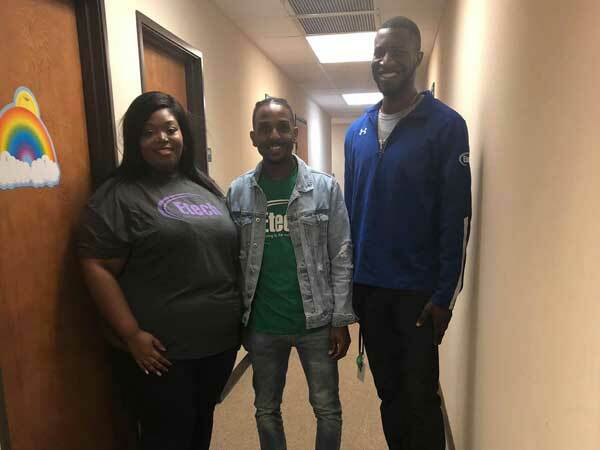 More than 20 people who signed up and everyone who attempted to donate received a free t-shirt as appreciation. 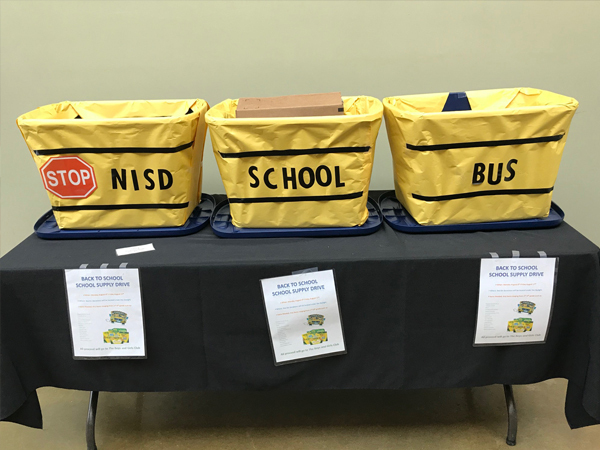 Thank you to everyone who signed-up! 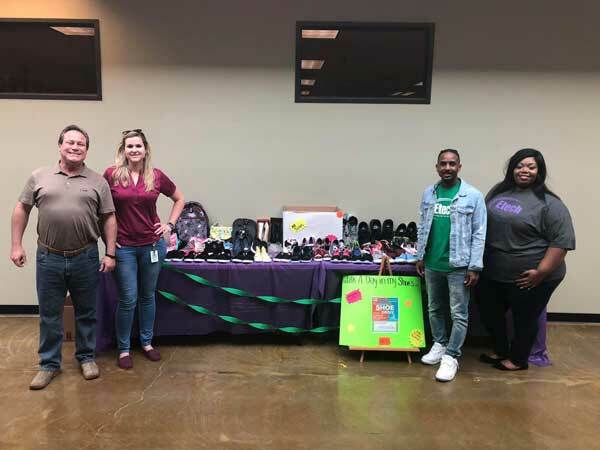 Etech’s Nacogdoches employees hosted the school supply drive to serve the less fortunate kids in the Nacogdoches community by giving them the same opportunities like other children to have better education. 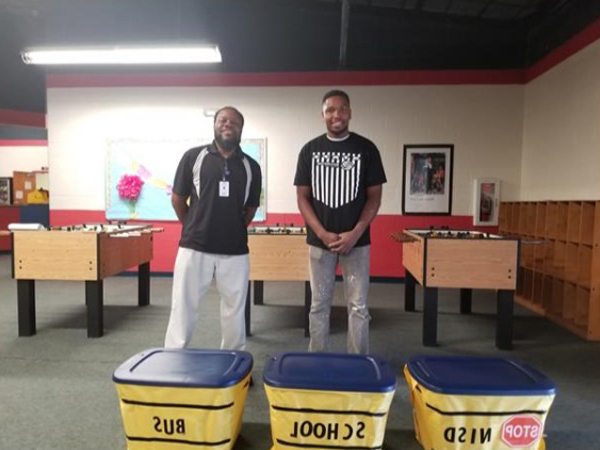 All of the proceeds went to the Nacogdoches Boys and Girls Club; this company helped us to distribute all of the donations into the hands of those who need it the most. 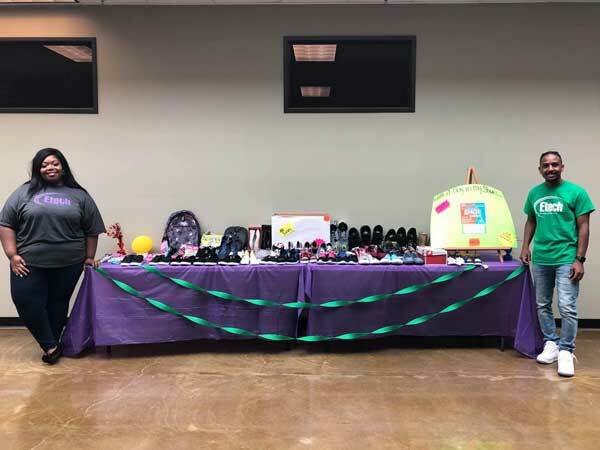 Etech’s Nacogdoches team members participated in donating shoes for children in need. 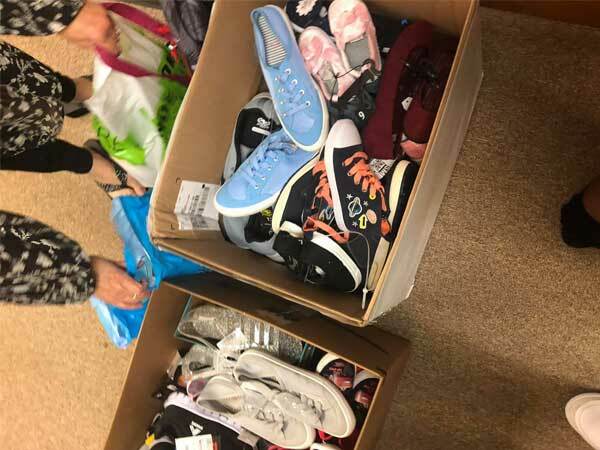 With over 35 pairs of shoes, the team members were overjoyed while sharing these with the children. 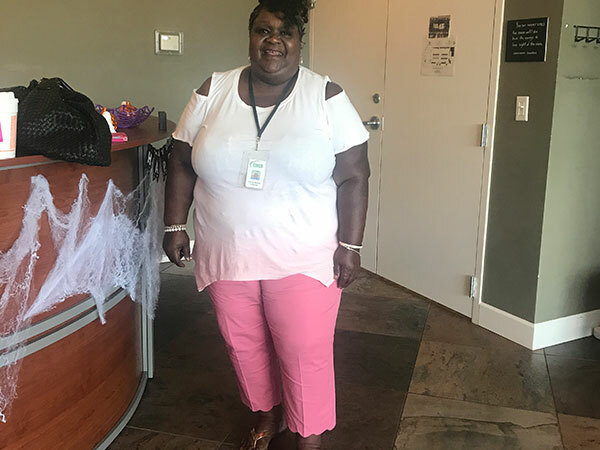 The team member’s hearts were filled with joy seeing the sparkling smiles on the children’s faces. 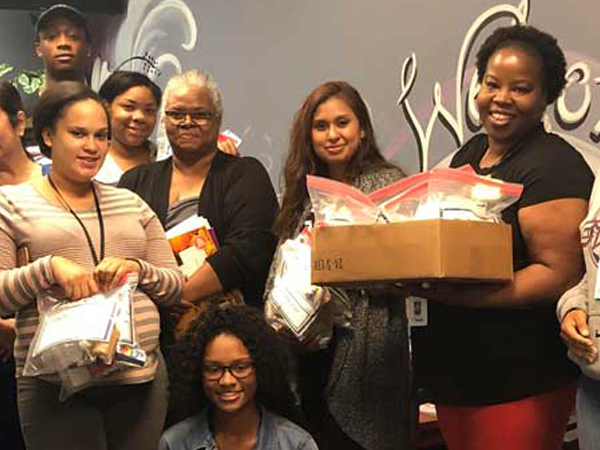 Etech Dallas center collected donations to provide snack bags for 32 dialysis patients at the Dallas Nephrology Associates. 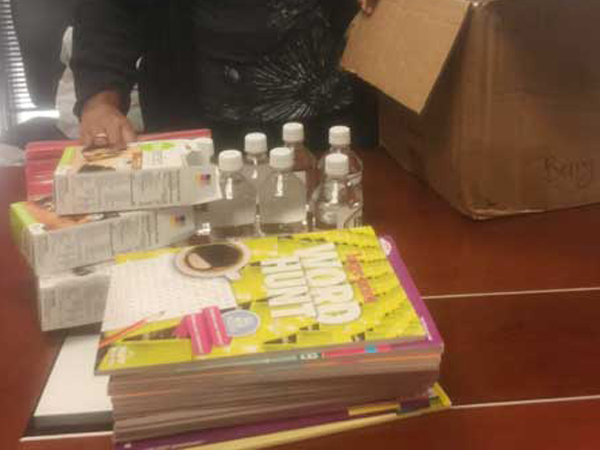 These snacks included crackers, animal cracker, raisins, cranberries, protein bars, 8oz Etech water and puzzle books/pens. 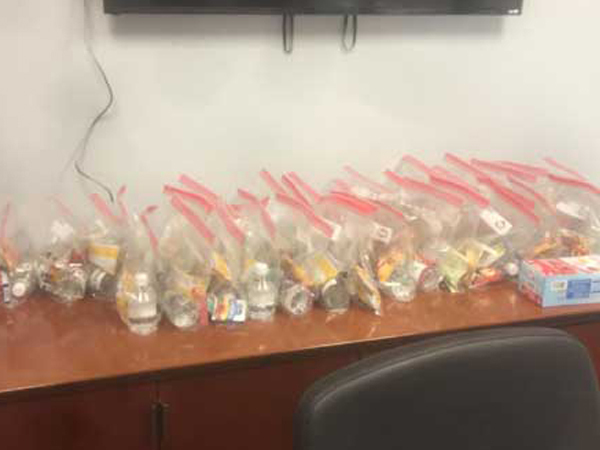 Seeing the Nephrology Associates overwhelmed with gratitude for the donations brought a smile and sense of satisfaction to the team members who devoted their time. 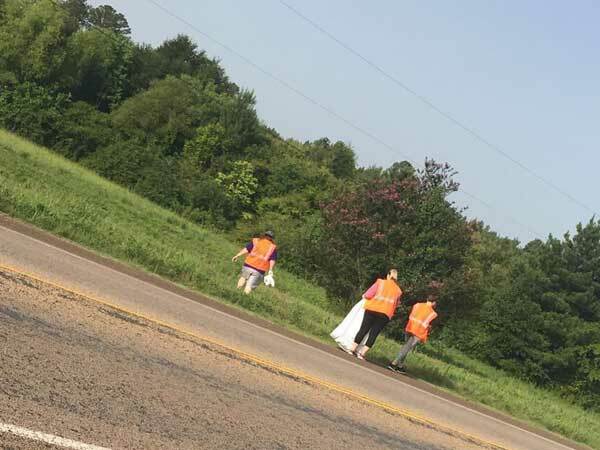 Etech’s Nacogdoches team members participated with the Adopt-A-Highway program to encourage volunteers to keep a section of the highway clean from litter. 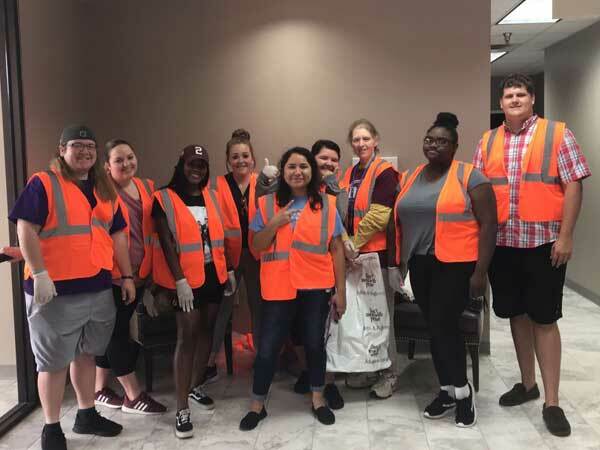 All volunteers showed hard work and dedication making sure all trash was picked up with a bright sun above them. Etech thanks everyone who volunteered! 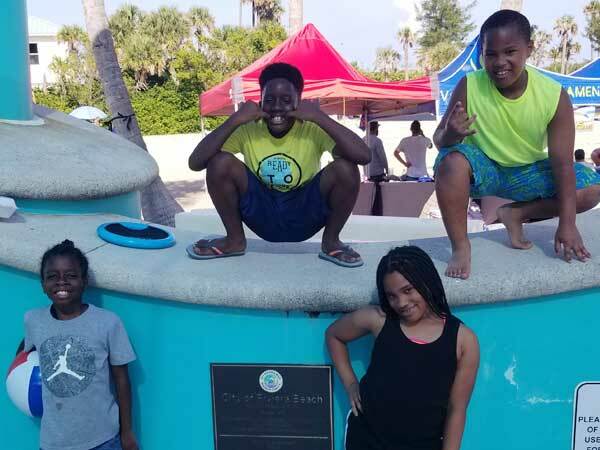 Etech’s Palm Beach team members took part in the city’s beach cleanup event where they were able to play a role in the success of the event and help keep the community beautiful. Thank you to all those who participated and bringing your little helpers with you! 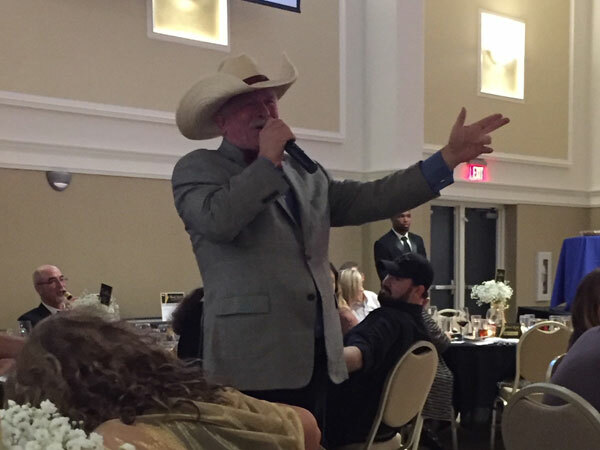 Etech continues to supports the Nacogdoches Boys & Girls at the annual charity bingo & auction on August 18th. 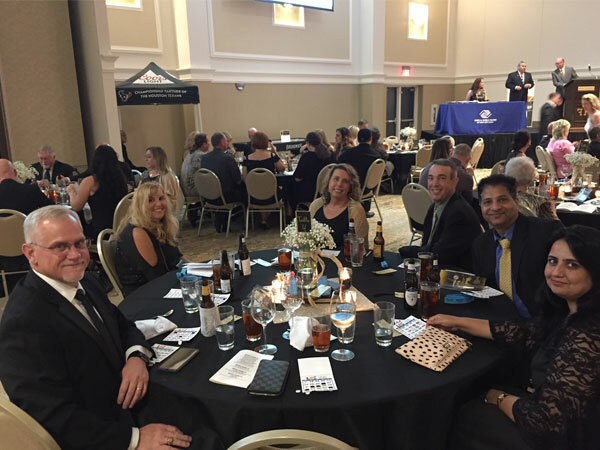 Having fun making a remarkable difference in our community!